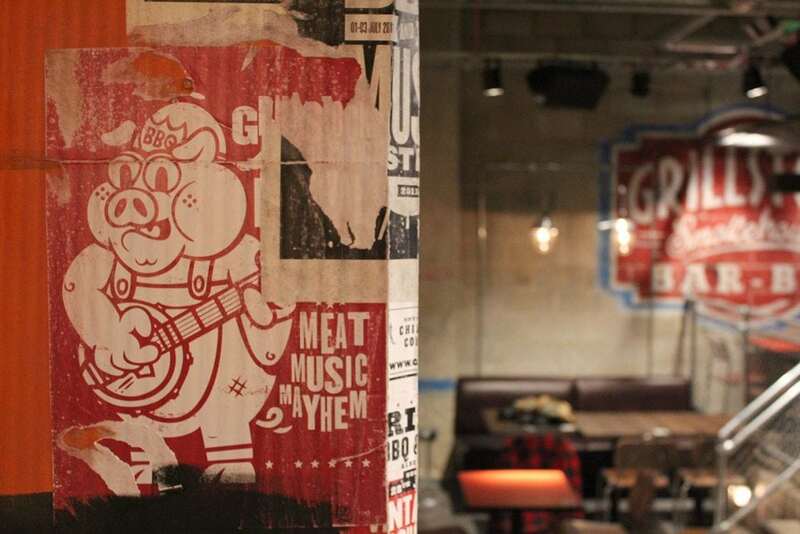 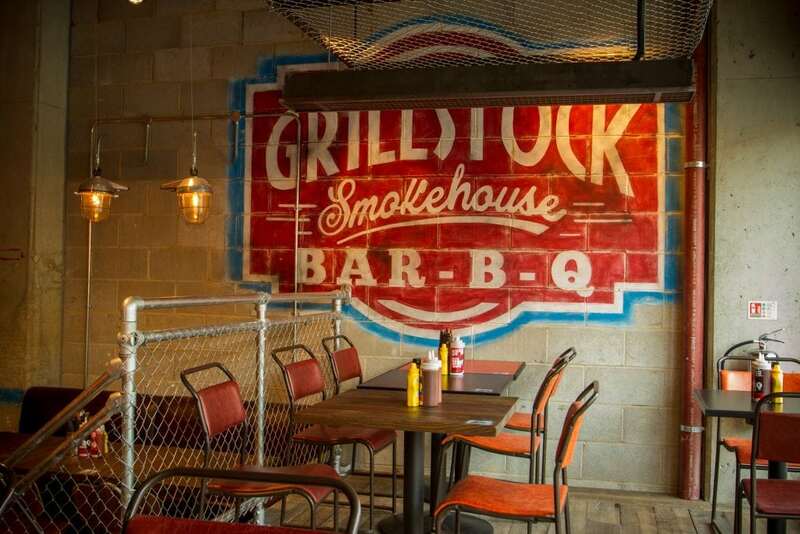 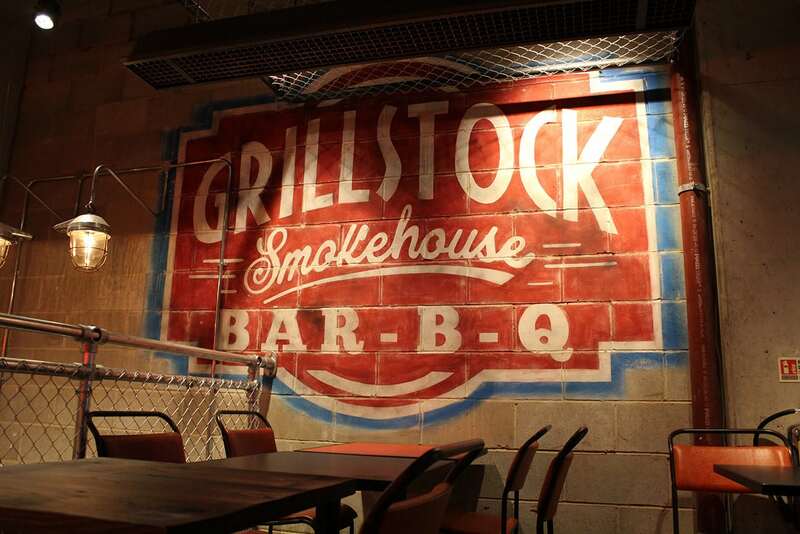 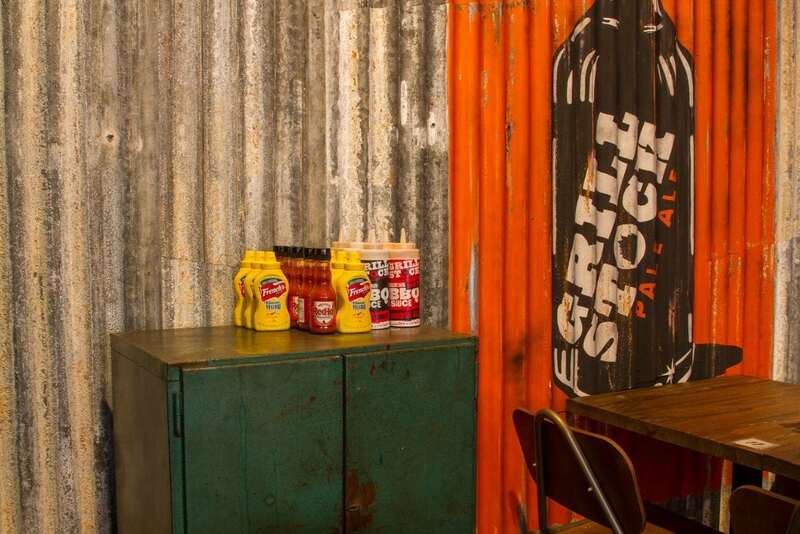 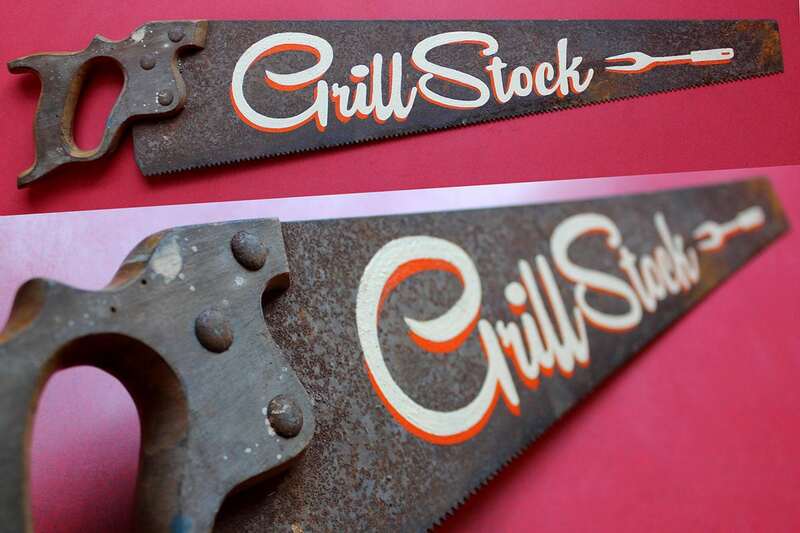 Grillstock festival is heaven for any fan of music, meat and mayhem! 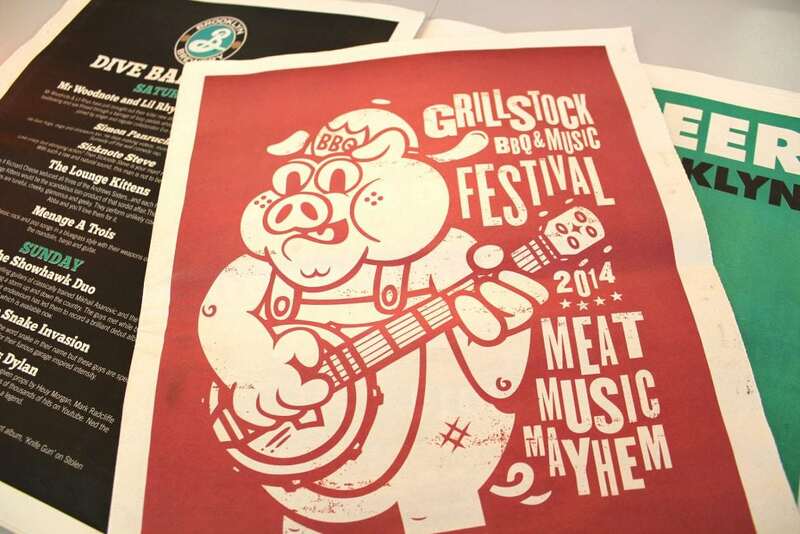 We were asked to design a character that would be used for their programs, posters and merchandise for the festival. 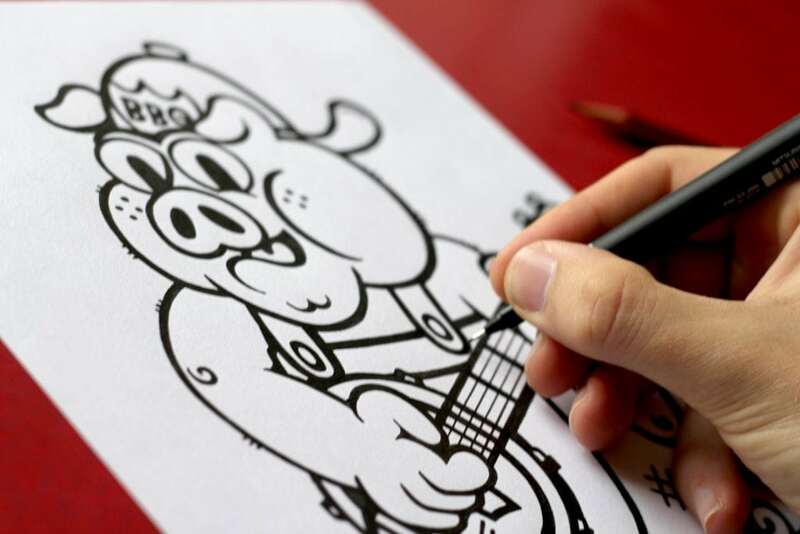 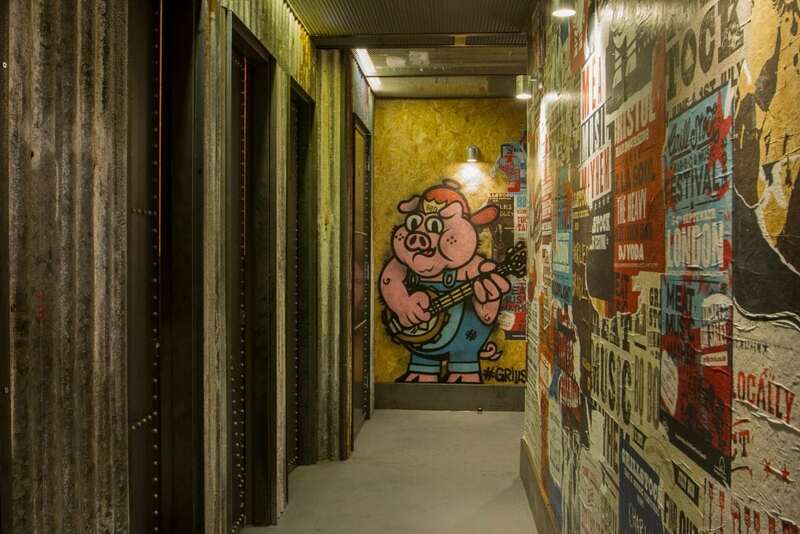 We designed the emblematic pig character seen above. 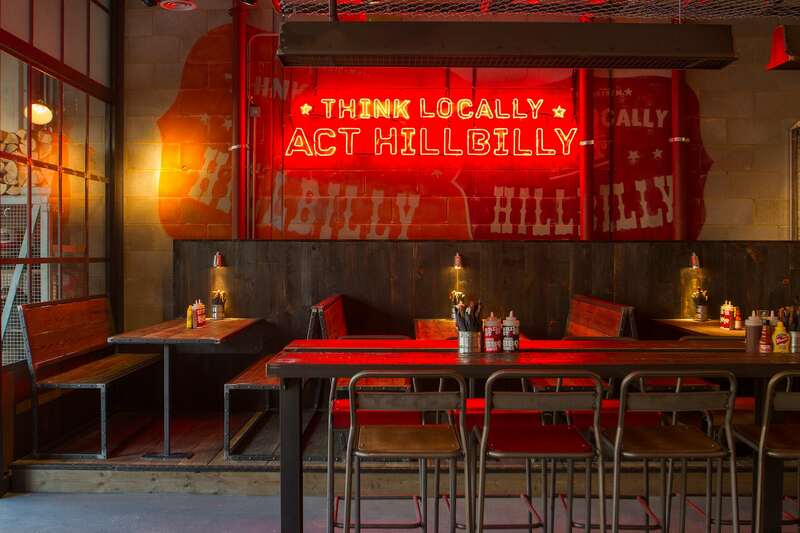 Following on from this festival branding work, we have also designed and created their distinctive Texas BBQ joint look for all their restaurants across the UK. 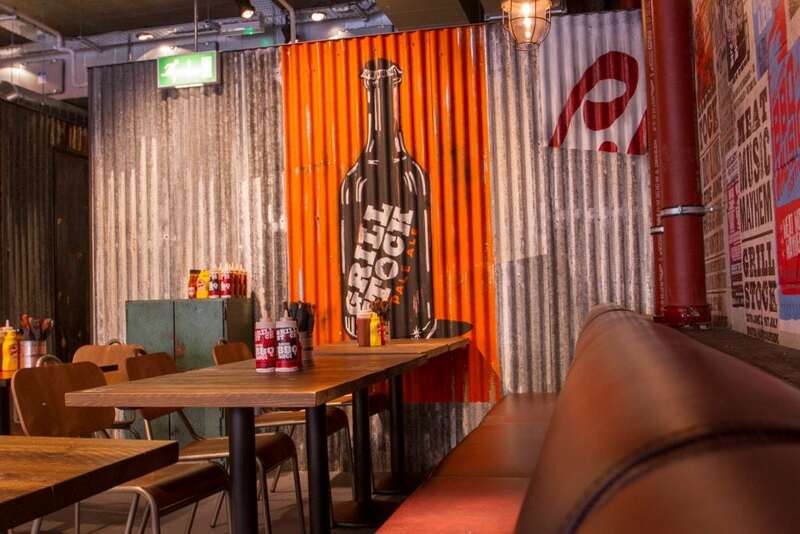 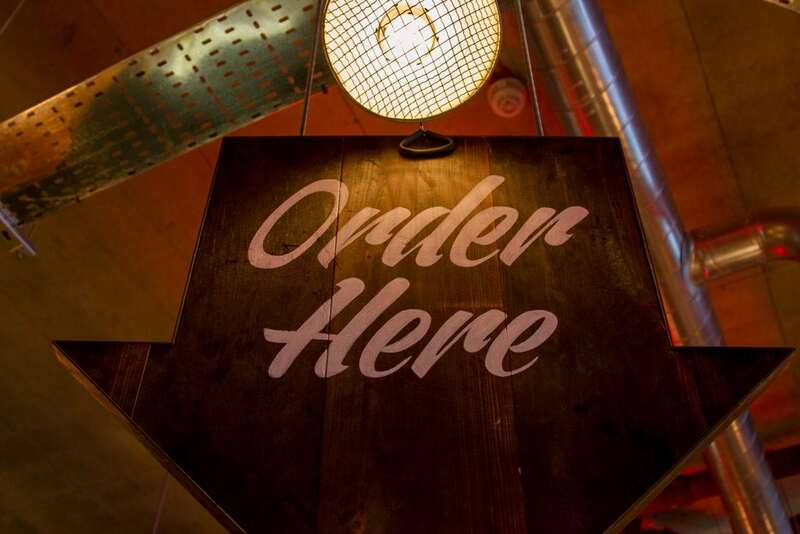 Throughout the restaurants we have transformed lots of walls with many different mediums to achieve the authentic look and feel they wanted. 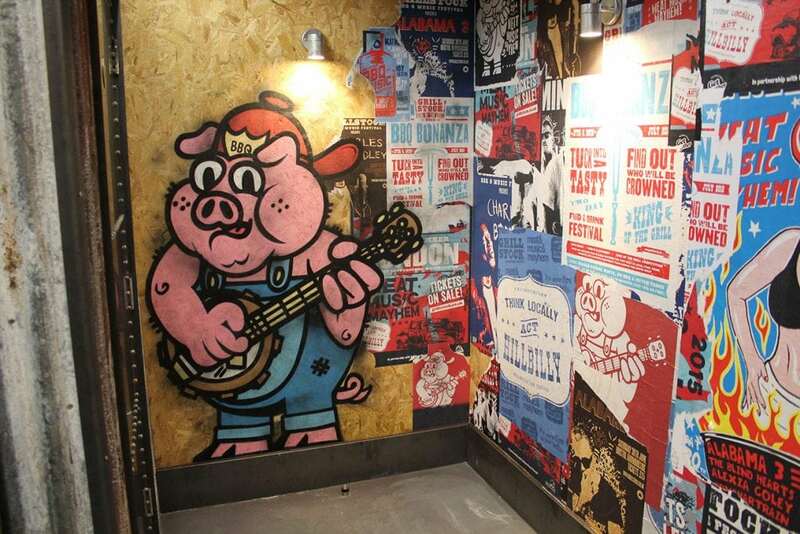 From hand-painting on corrugated rusty metal to pasting hundreds of varied Grillstock festival posters in the bathrooms.